This report contains 52 images copyrighted by the WSEAS. All rights reserved. 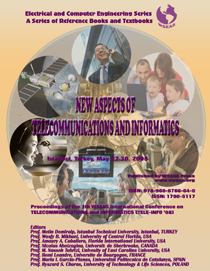 by Prof. Amaury A. Caballero, Florida International University, USA. by Prof. Arash Kiyoumarsi, University of Isfahan, IRAN. by Αssc. Prof. Calin I. Ciufudean, “Stefan Cel Mare” Universtity of Suceava, ROMANIA. by Prof. Roberto Revetria, Docente di Impianti Industriali e Meccanici, ITALY. by Prof. Gabriel Oltean, Technical University of Cluj-Napoca, ROMANIA. by Prof. Nicolas Abatzoglou, Université de Sherbrooke, CANADA. by Prof. Cevdet Akyel, Ecole Polytechnique Montreal, CANADA. 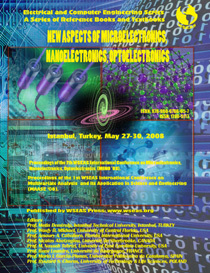 by Prof. Wasfy B Mikhael, University of Central Florida, U.S.A.
by Prof. Yen-Chun Lin, National Taiwan University of Science and Technology, TAIWAN. by Prof. Ahmed El Oualkadi , Université Catholique de Louvain, BELGIUM. by Prof. Ryszard S. Choras , University of Technology & Life Sciences, POLAND. 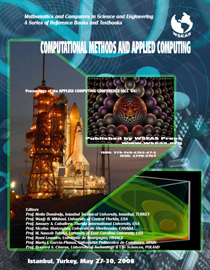 by Prof. Maria I. Garcia-Planas, Universitat Politecnica de Catalunya, SPAIN. 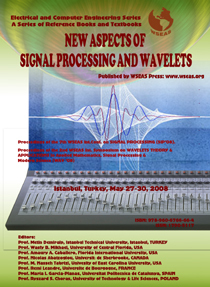 by Prof. M. Nasseh Tabrizi, UEast Carolina University, USA. MALLIAVIN CALCULUS OF BISMUT TYPE IN SEMI-GROUP THEORY. 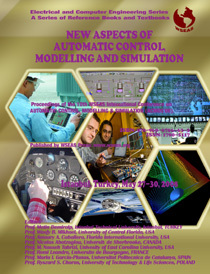 Editors: Metin Demiralp, Wasfy B. Mikhael, Amaury A. Caballero, Nicolas Abatzoglou, M. Nasseh Tabrizi, Remi Leandre, Maria I. Garcia-Planas, Ryszard S. Choras. From these excellent and well-organized conferences, WSEAS Press published also 5 Books that contain the conference proceedings. A wonderful Gala with more than 50 different courses (self-service buffet) were given to the participants in the evening of the second day of the conferences. You can see in the previous pictures a rich folklore show with many artists, different appearances and several happenings.